In many businesses being the person who goes into the office between Christmas and New Year can be a quite a good experience. You get peace and quiet to sort out your emails, clear out unneeded paperwork and generally prepare for the next few months. Stash sort out. There is a great deal of enjoyment to be found in taking all your yarn out and reorganising it. You may well discover something you had completely forgotten about or the perfect yarn for a pattern you have recently spotted. 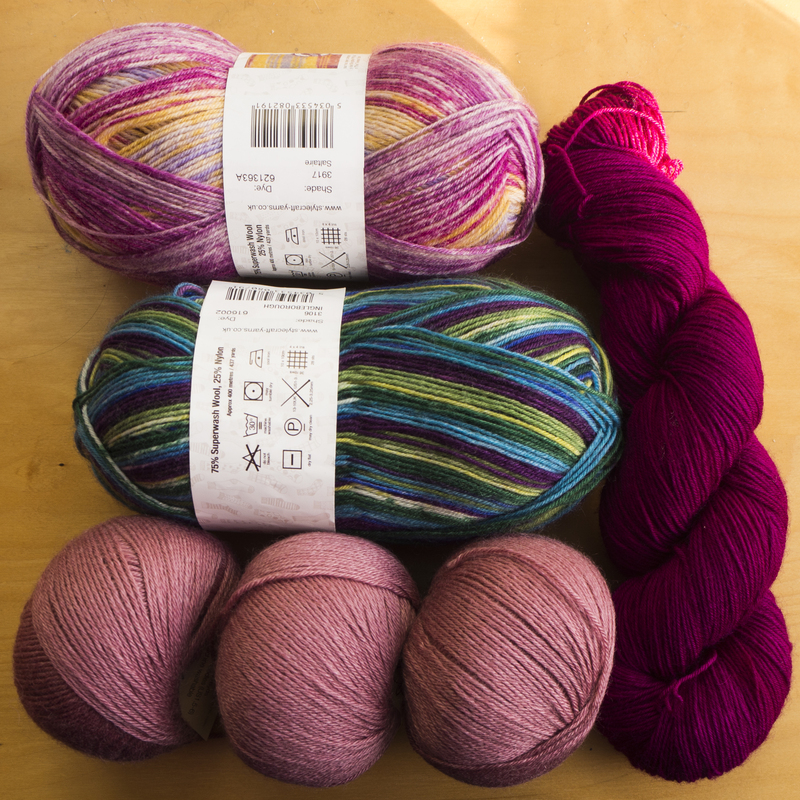 When you start sorting out your yarn stash you can find unexpected combinations or skeins you had forgotten about. Look through the patterns you have saved this year. It is very easy to accumulate a large stack of knitting and crochet magazines that you’ve set aside because of an interesting pattern. A quiet winter afternoon is a great time to go through these and cut out the patterns. Of course you may spot extra patterns to save but on the other hand you may be able to match some to your newly reorganised stash. Read your new craft books. If you received any lovely knitting or crochet books for Christmas, make a cuppa, put your feet up and plan the new techniques you are going to try and what you might make. Browse online for yarn events and classes in 2019. It is always good to have activities to look forward to after the New Year, so why not get a few dates in the diary. Our online events and workshop diaries may help here.